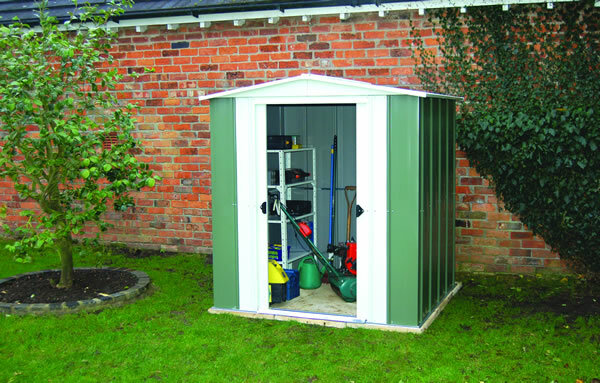 Rowlinson Metal Sheds are a perfect alternative to a timber shed. 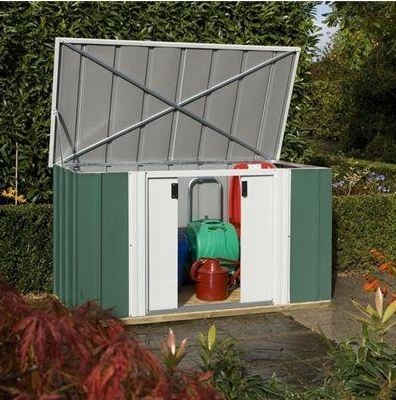 All buildings come pre-painted and are a low-maintenance solution for garden storage. 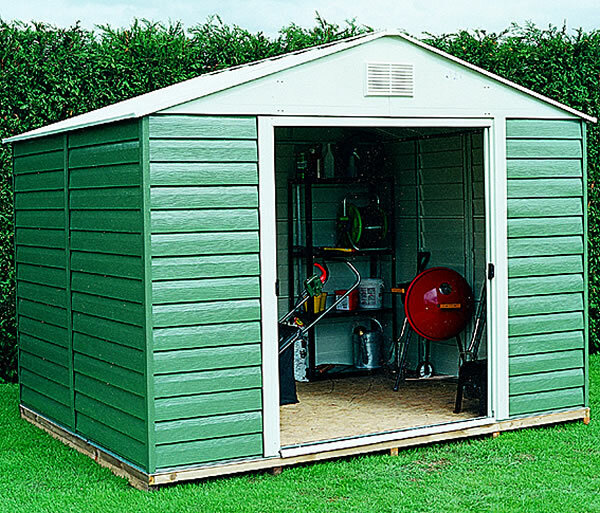 This range is fireproof, rot and rodent resistant and will last for many years. 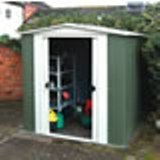 With six different sizes and two roof styles available there is something to suit your requirements within this section. An installation service is also available, please see the individual products for further details. 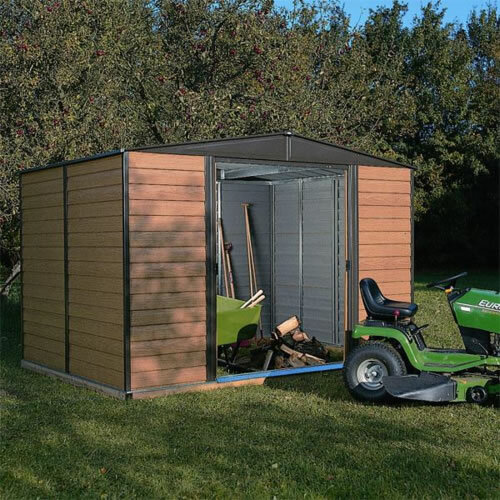 Please note: Delivery is FREE to the UK mainland however surcharges may apply to offshore destinations or areas in the Scottish Highlands, please contact us for prices. 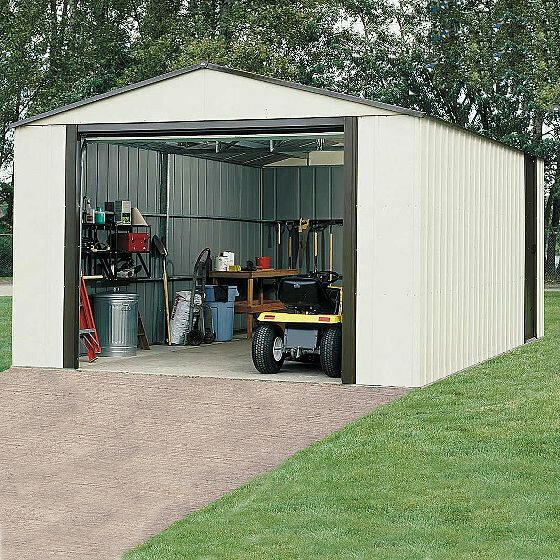 When purchasing a metal shed the overall external dimensions are usually provided in the first instance. 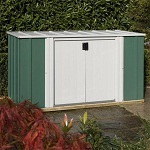 Please refer to the the full specification detailed on the individual product pages for the base/footprint dimensions.